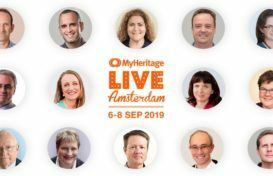 Yesterday we posted a recap of MyHeritage LIVE, our first-ever user conference which was held last weekend in Oslo, Norway. We will be releasing videos of each one of the 25 main lectures soon, but for now we’re releasing the emotional keynote address given by MyHeritage’s Founder and CEO, Gilad Japhet. In addition, here is a fun video featuring some of the highlights of the conference. Don’t miss that one either!